The only crummy thing about Fall is that it doesn’t last long enough! 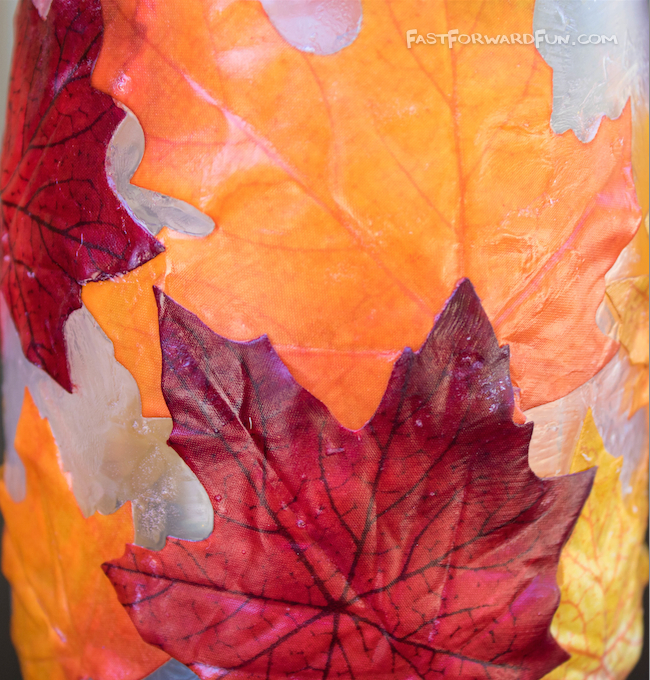 I love the warm colors of the season so much, I thought I’d bring them indoors with a DIY fall leaf candle holder that’s incredibly easy to make, and costs pennies compared to what you could buy one for. I suppose this project would work on just about any jar or vase, but I’m especially digging the mason jar. 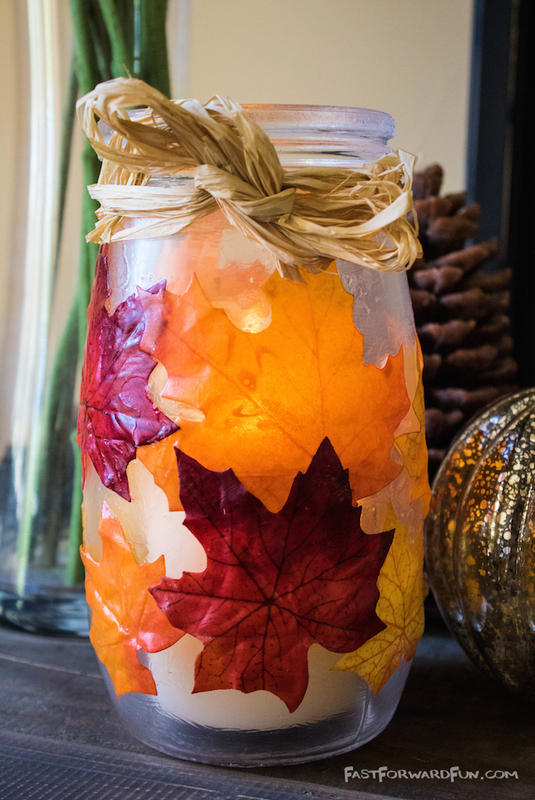 Just make sure you use a jar that doesn’t have a lot of writing or ridges on the glass or the leaves won’t stick properly. Your supplies for this project can vary, but I’d recommend a glass jar or vase that doesn’t have any ridges (the Ball mason jars don’t work) and a matte mod podge unless you want the final outcome to be shiny. I found the little leaf branch at Hobby Lobby for $1.50, and they seemed to work really well (I love the bright colors! 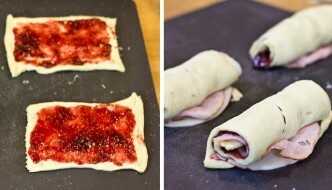 ), but you can also try using real leaves. 1. 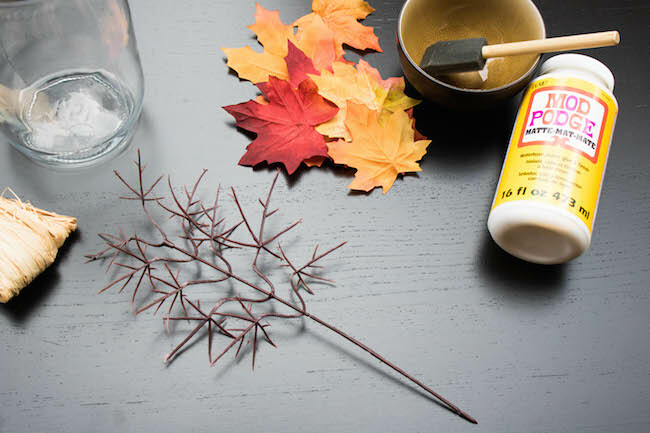 If you are using fake leaves, remove them from the stem to make sure they don’t have any of the plastic veins attached. 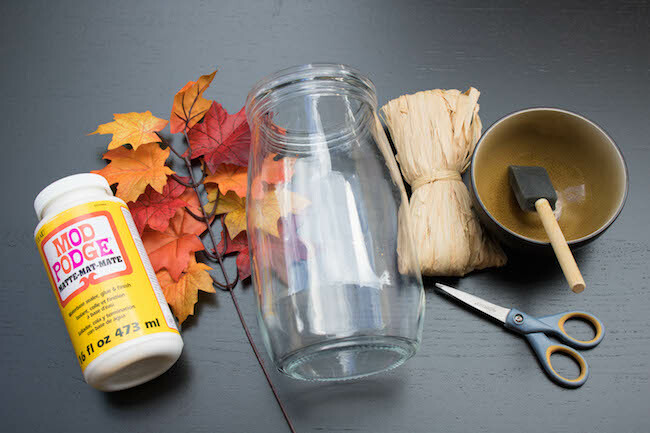 The thinner and more pliable your leaves, the easier it will be to get them to stick to the jar, so keep this in mind when you’re shopping for leaves. 2. 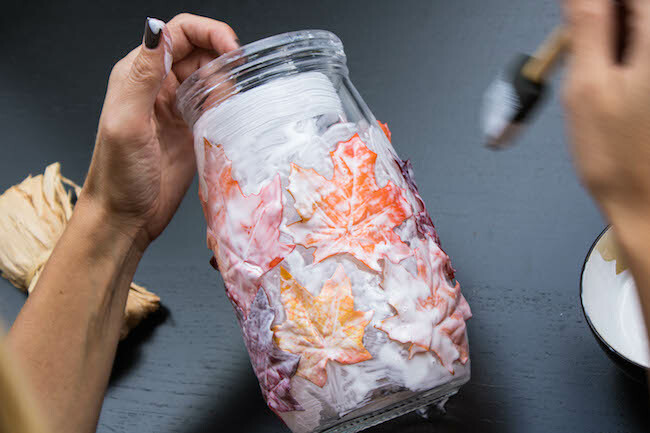 Use a sponge brush to apply an ample amount of mod podge both under and over your leaves to get them to stick to the jar. 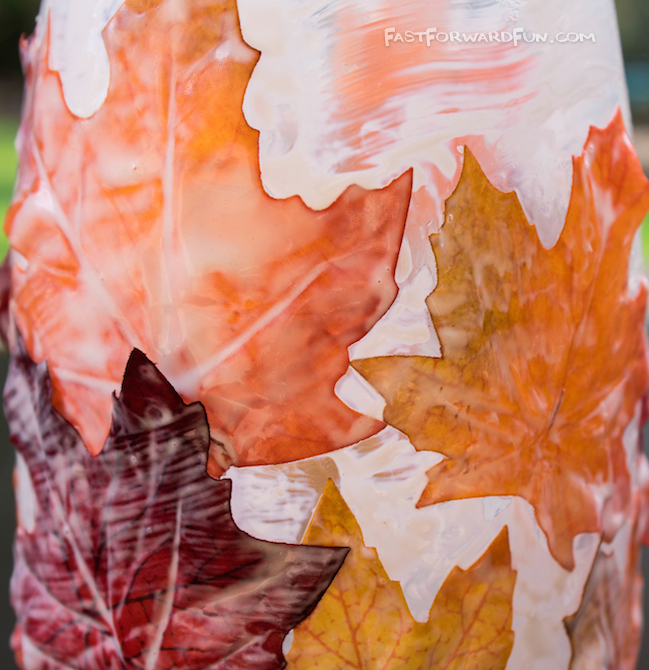 The mod podge becomes stickier as it dries, so you might find that if you press down on the leaves with your sponge a few minutes after applying them they will adhere better. 3. 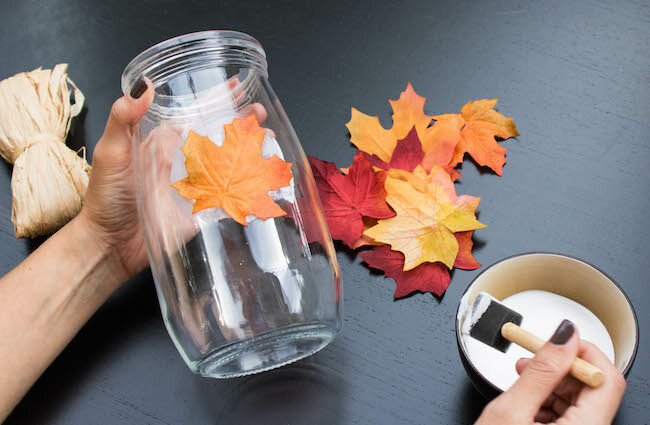 Continue this process until you are happy with the amount of leaves around the jar. 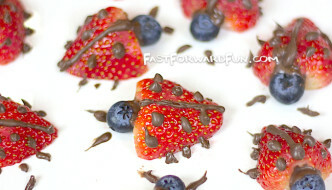 I overlapped a few of them, but not too much, because they didn’t stick as well when they were layered. 4. Let the mod podge dry for 1-2 hours. 5. Once it is dry, the mod podge becomes clear. 6. Tie raffia or ribbon to the top of the jar to finish it off (optional). I was a little worried at first how this project would turn out because I had such a thick layer of mod podge on the jar, but I think it turned out beautifully! 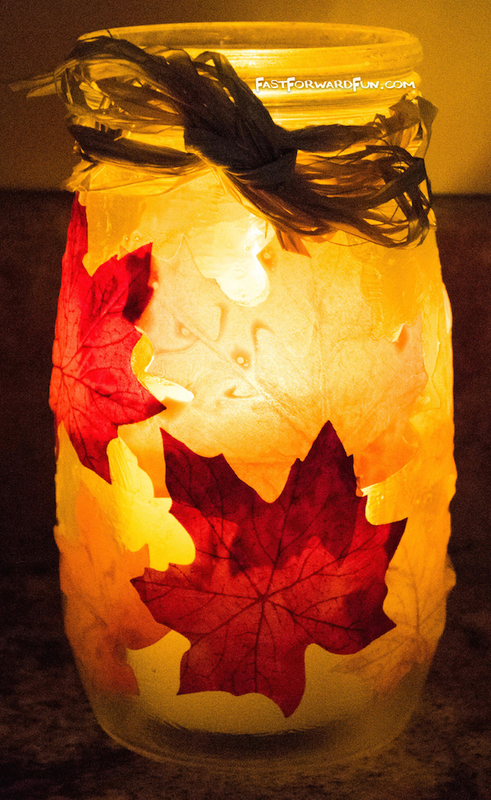 I use a remote controlled, batter operated candle to make it easy to turn on and off, and it’s such a nice addition to my Autumn decor.